San Remo is one of the best places on the Ligurian Riviera to combine work and pleasure because the city offers modern hotels with up to date resources and equipment for those who are on business travel, or simply for those who are visiting San Remo to attend an event such as a Trade Fair, or to visit locations where specialities of the Mediterranean are produced, or to explore interesting craft workshops. 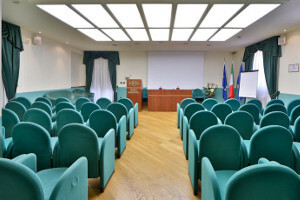 For businessmen there are hotels in San Remo well supplied with conference or meeting rooms. When the business day is over, team members can take a relaxing break in other areas of the hotel, such as the swimming pool or solarium, spa, wellness center, bar and restaurant.